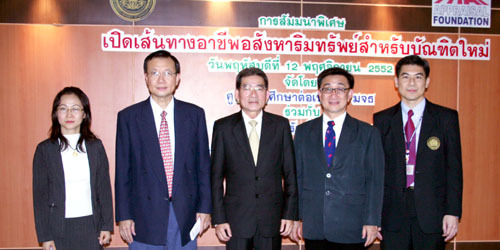 Dr.Sopon Pornchokchai, President, Agency for Real Estate Affairs, Mr.Wason Khonchantr, AREA Managing Director and Mr.Atinach Chanbanyong, Deputy Director, the Thai Real Estate Business School as a group of experts of the Thai Appraisal Foundation to help lecture on real estate for university students and beneficiaries as an effort of social contribution at various universities in Thailand. 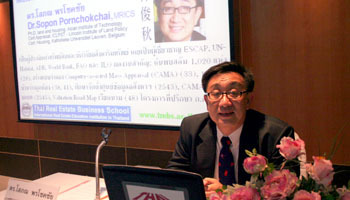 This time it was the King Monkut's University of Technology Thonburi. 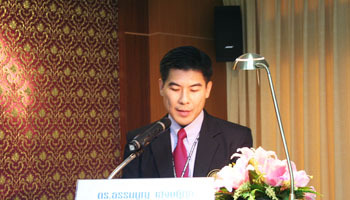 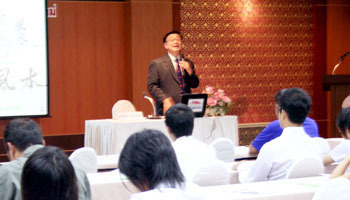 Prof.Dr.Kraiwood Kiattikomol, the President and Dr.Thammanoon Hengsadeekul, Director of the Continuing Education Centre of the University were the hosts.